So, you’ve done your civic duty as a fall-abiding citizen and gone apple picking over the weekend. You braved the plaid crowds, successfully navigated the corn maze and took a selfie with a pumpkin. Bravo. Now you find yourself with 20 pounds of red, green and golden apples that you’re not entirely sure what to do with beyond eating one for breakfast, lunch and dinner. 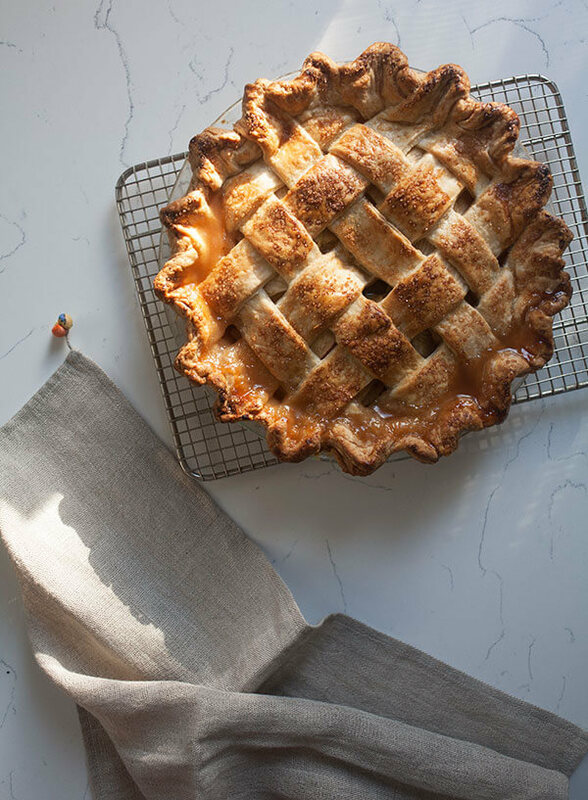 If you’re dealing with an apple oversupply and looking for delicious ways to use up your haul, you’ve come to the right place. We’ve rounded up some of the internet’s finest apple dessert recipes, from classic pies and flaky turnovers to spiced cakes and cinnamon scones. Luckily, most of these recipes are fairly easy to assemble, so you'll be cranking out apple-filled desserts in no time. Throw on your apron, grab your peeler and get into the kitchen — it’s time to make a dent in all those eager apples sitting in your fridge. 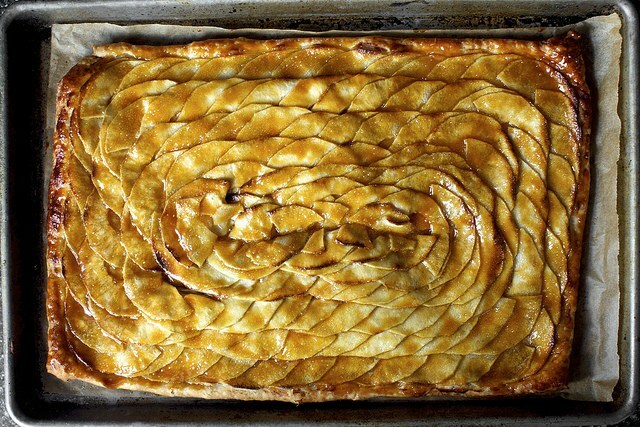 You really can’t go wrong with a classic apple pie. This recipe uses a mix of honeycrisp and Granny Smith apples for that perfect balance of sweet and tart. 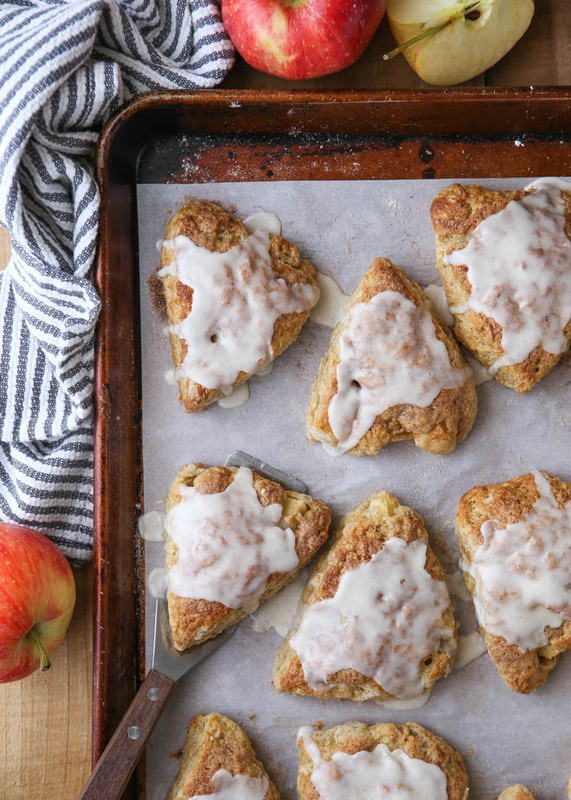 These scones are packed with chunks of crisp apple, applesauce and tons of cinnamon and topped with a creamy cinnamon glaze. Image: My Name Is Yeh. 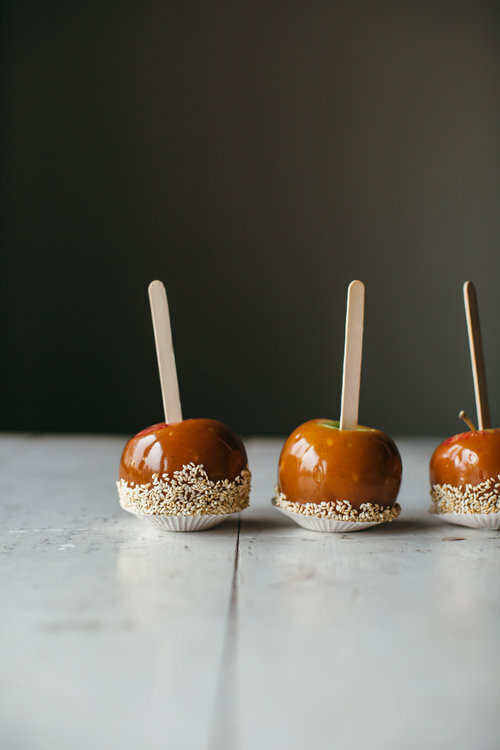 These fun caramel apples are a unique twist on the classic and have tahini in the caramel. Sesame seeds add a nice crunchy exterior. 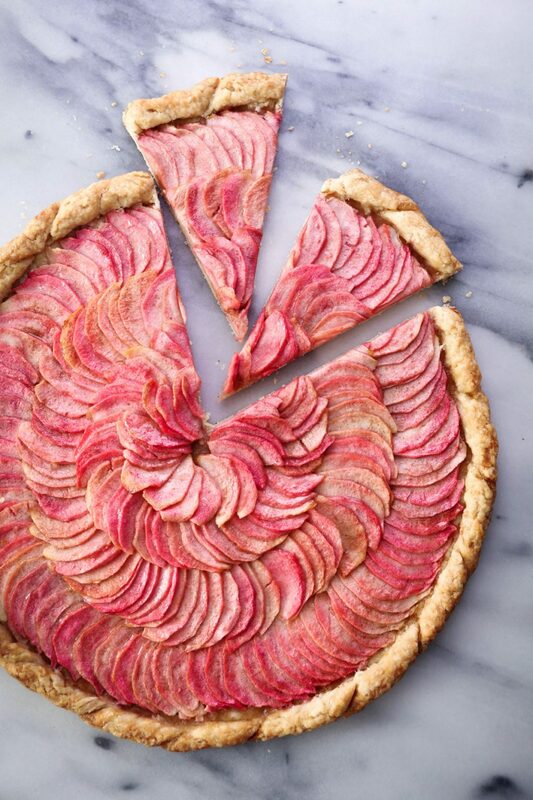 How gorgeous is this galette? 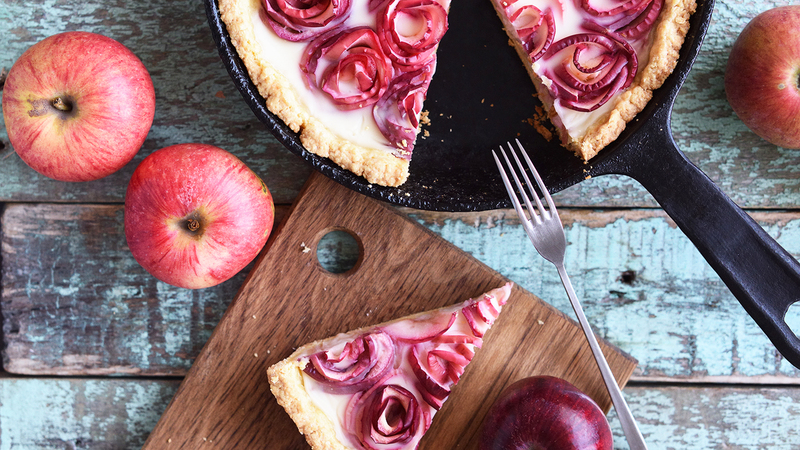 Made with pink pearl apples, this showstopper tart is a cinch to throw together — especially if you use store-bought dough. Can’t find pink pearls? Granny Smith, Braeburn or golden delicious work well too. 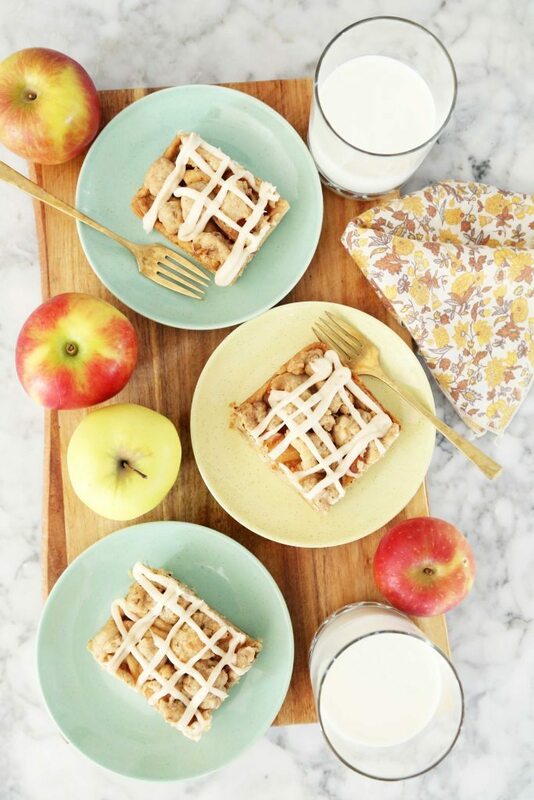 This apple pie bar recipe hails from the queen herself, Ina Garten. Garten recommends using golden delicious and Braeburn apples here for the best results. This recipe will make you look like a French pastry chef with minimal effort. This gorgeous tart is made using puff pastry topped with thin slices of apples dotted with butter, sprinkled with sugar and baked. OK, so this recipe doesn’t actually contain any actual apples, but surely you picked up a gallon of fresh apple cider at the apple orchard? 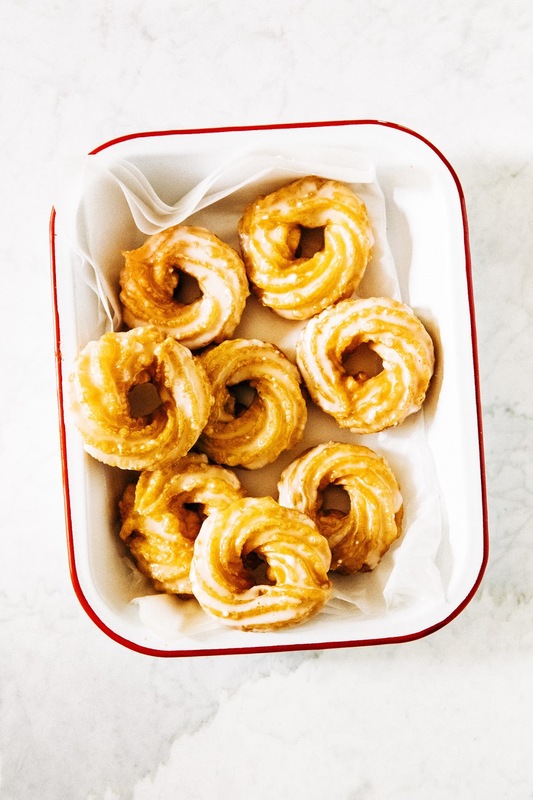 If the answer is yes, you need to make these apple cider crullers immediately. Looking for an autumnal dessert to make for brunch? 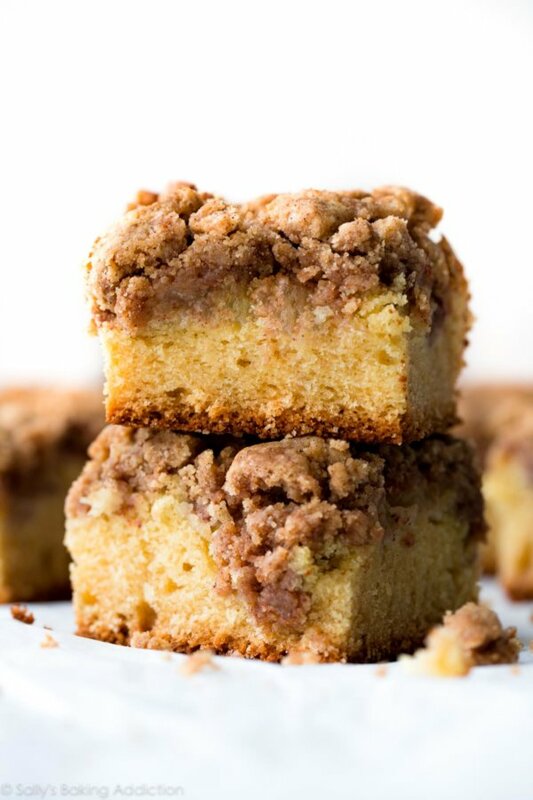 If soft, buttery cake laced with cinnamon apples and a decadent crumb topping is your thing, then this recipe is a must-bake for your fall brunch. 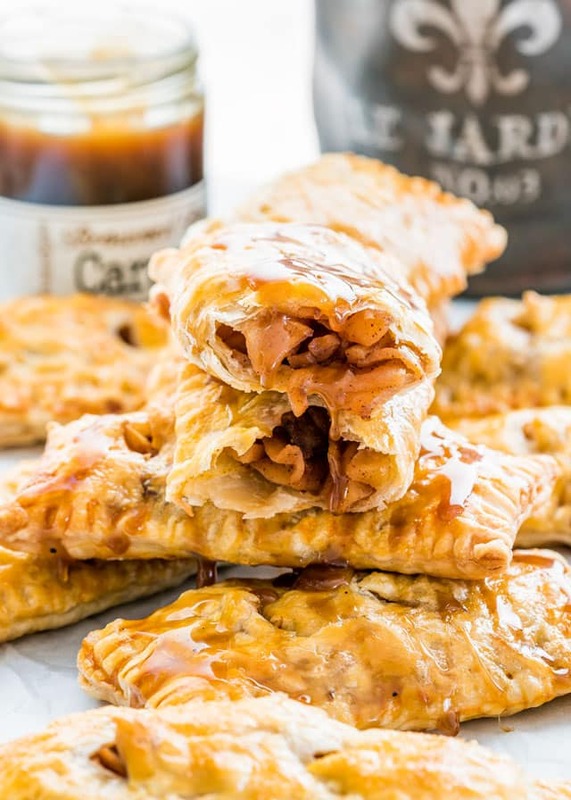 These quick apple turnovers come together in a flash. Made with store-bought puff pastry and fresh apples, they’re easy enough to make and taste far superior to any frozen apple turnovers you could buy. 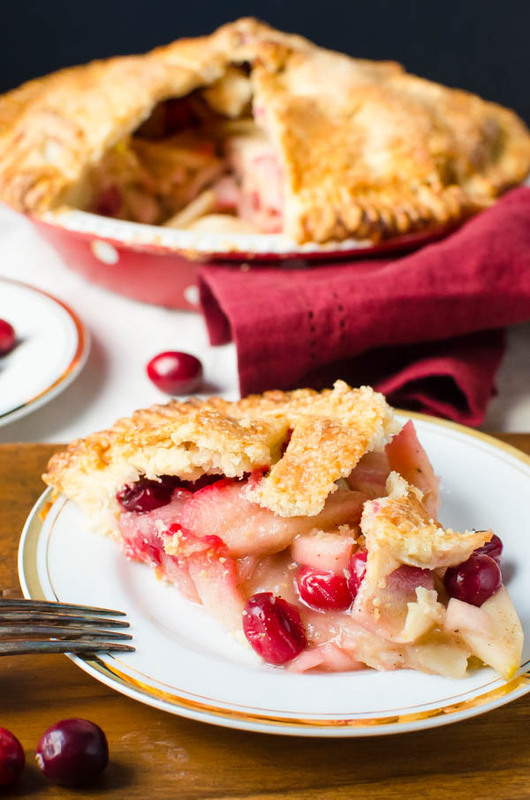 Adding tart cranberries to your apple pie really enhances the whole thing and brings out those delicious sweet-tart flavors. Plus, the cranberries lend a delightful and festive hue to the pie. Who doesn’t love dessert dumplings? 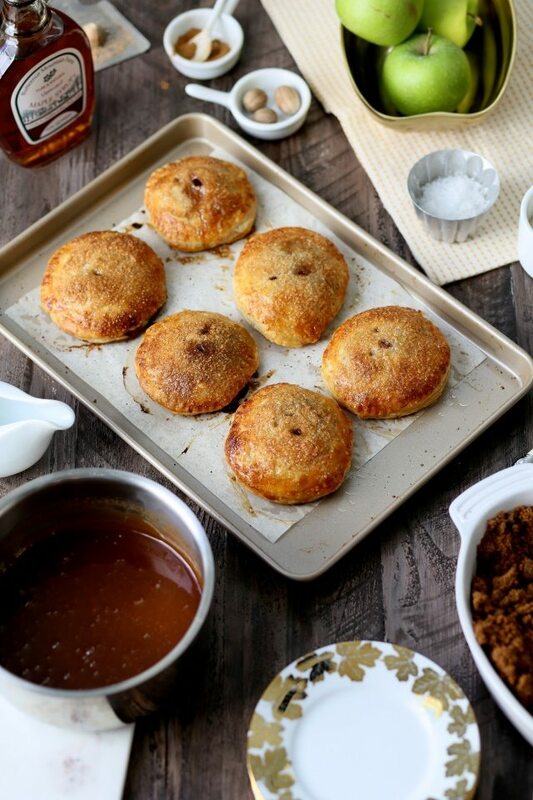 These flaky apple dumplings are another impressive-looking dessert that’s actually super-easy to make. Plus, there’s a salted maple-caramel drizzle, which improves everything.